Read On the Fly is a sub-brand of AKontheGO.com, Alaska’s only resource for family travel. 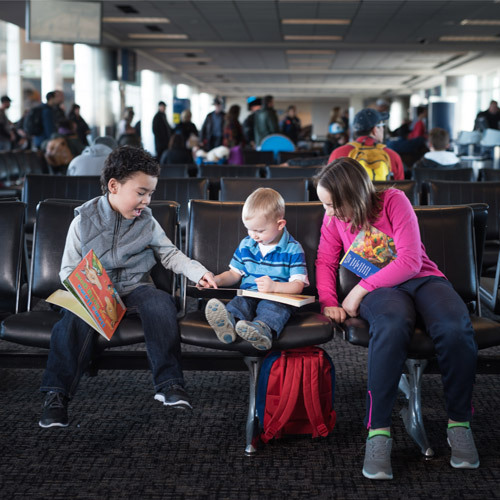 Launched in June, 2016 at Ted Stevens Anchorage International Airport with four bookshelves, ROtF provides free books for children ages 0-18 traveling by air in Alaska. Designed to inspire a love of reading and travel, ROtF books are currently received on an all-donation basis, and are vetted, tagged, and stocked by volunteers. Air travel, particularly in Alaska, can be long and tedious, and parents often relent to allow youngsters unlimited time on electronic devices. Currently, bookshelves are available at five airport locations throughout Alaska, with more scheduled for 2018. Read On the Fly is supported by members of the travel industry, social service agencies, community members, and other partners committed to literacy and Alaska kids.